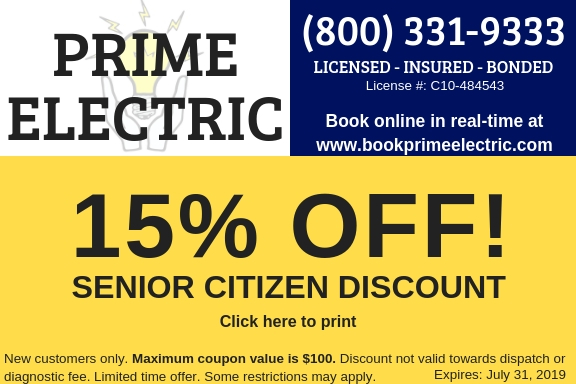 WE’LL SOLVE YOUR ELECTRICAL PROBLEM OR YOUR MONEY BACK! 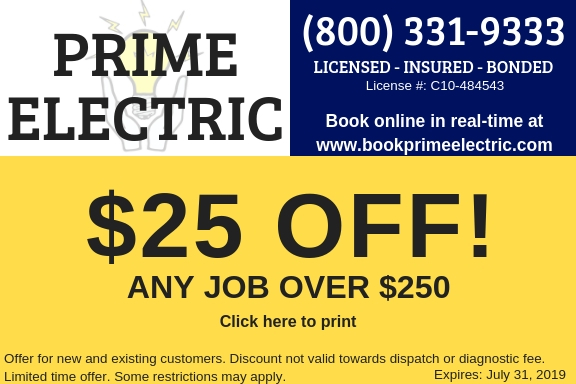 No matter what your electrical project or problem is, Prime Electric handles it with expert electrical services backed by our limited lifetime guarantee. Click on a coupon to open it up as an image. Then, print the coupon and show it to your friendly electrician. 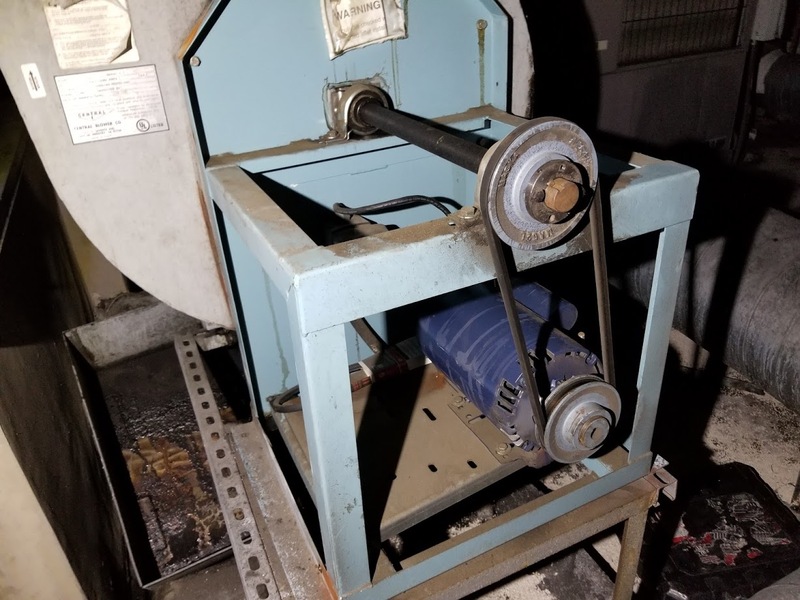 We're family owned and operated, for over 35 years we've proudly been the leading provider for electrical solutions in the Los Angeles, Ventura and Orange County areas. You're a handy do-it-yourselfer. We understand. But there's times when hiring a pro really pays. 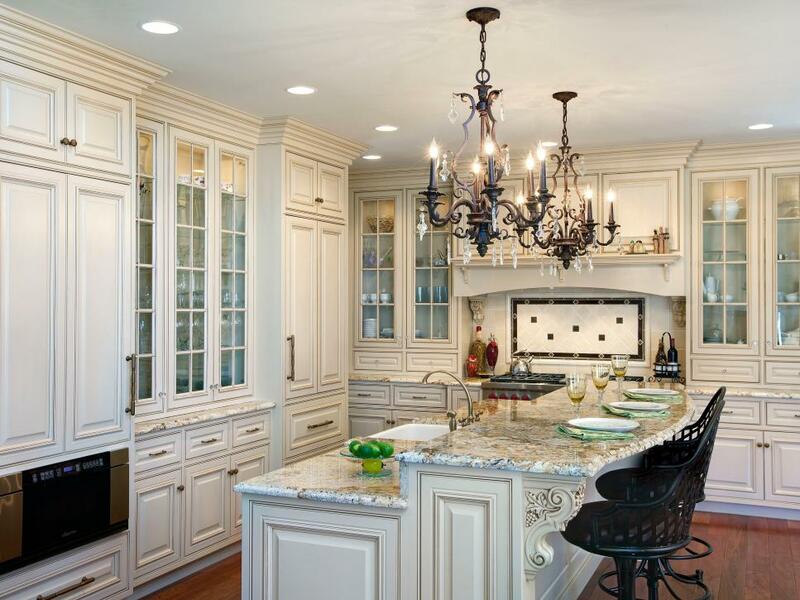 As full service electricians in L.A., we can handle virtually any electrical project. 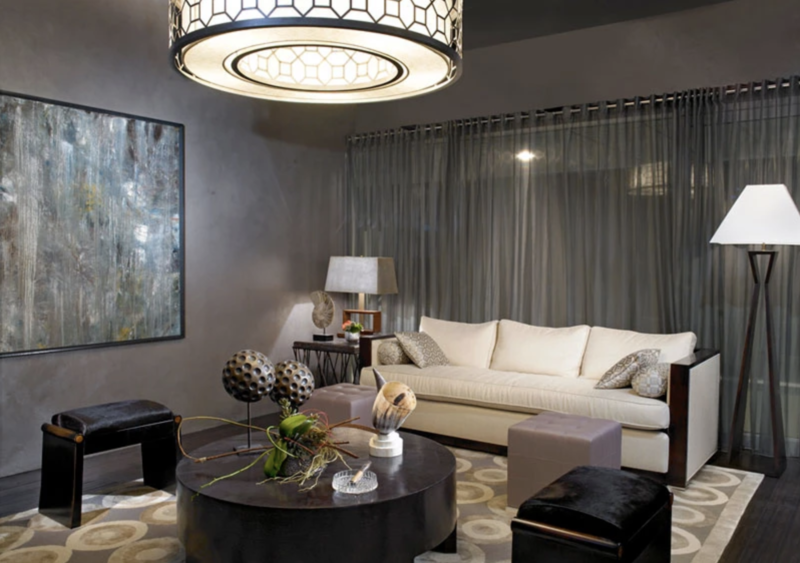 We'll safely install lighting, do panel upgrades, add circuits and take care of all your home electrician needs. We're available 24/7 for emergency service - just call or text us. 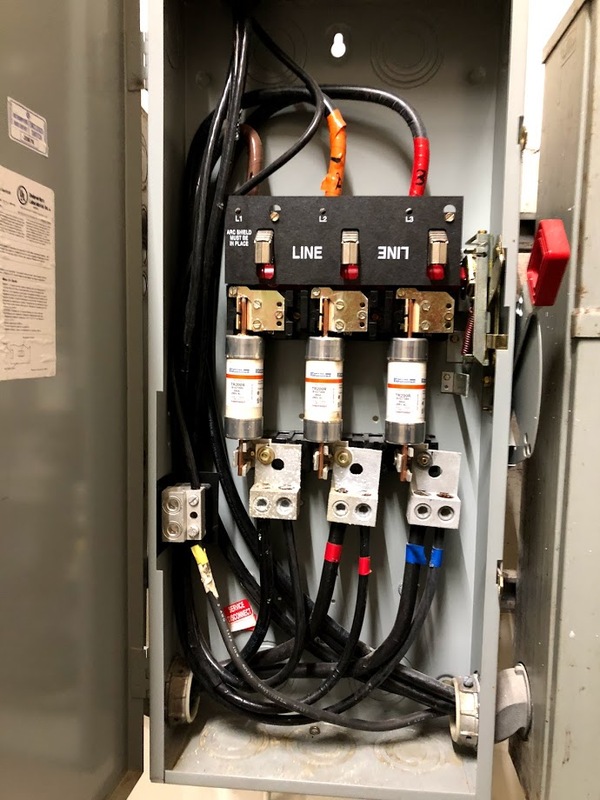 We're a full service commercial electrical contractor, from setting up PBX systems to diagnosing shorts and installing dedicated circuits, we'll take care of it. 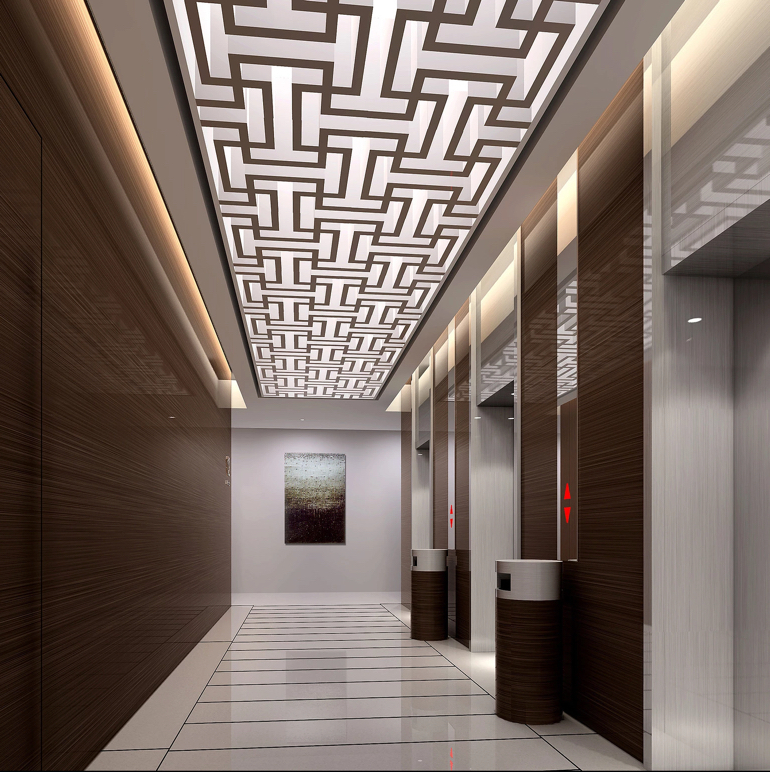 No matter the scale of the project, with over 35 years electrical experience we can handle it. 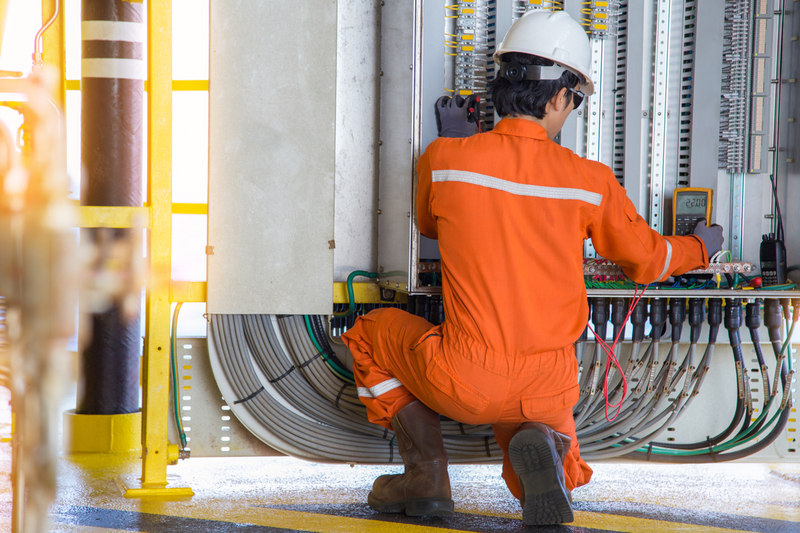 From 3-phase circuit installation to electric motors repair, we'll be there for you. 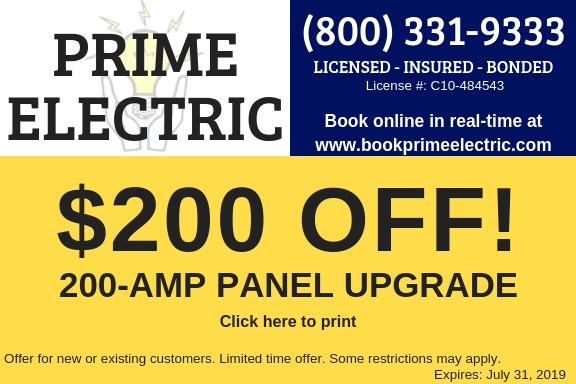 the Prime Electric lifetime labor warranty! Get peace of mind that your electrical project will get done right the first time. Our work is backed by our limited lifetime guarantee. 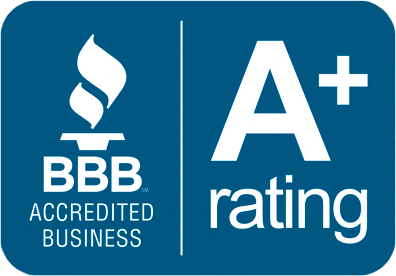 As a family owned and operated business in L.A., you can be assured of an unmatched level of personal service and accountability on every project. Great job guys. I’ve called Prime on three occasions now for jobs in my small restaurant and have never been disappointed. They always notify me when they are enroute to the job, give a thorough quote and do not leave a job done less than perfect. With over 35 years electrical experience in the L.A. area, we can tackle any scale commercial electrical project. I had an electrical outage in which I had no power to the plugs on the back wall of my bedroom. I called a few companies and nobody answered the phone. I called Prime and they quickly answered, took my information, and an electrician called me in a matter of minutes. Price was reasonable and they did a great job. Our experience really comes into play with industrial size projects. We know the challenges, and plan ahead to avoid them and deliver your project on budget, on time. Our work is backed by our lifetime workmanship guarantee.